This is so awesome. Beyond awesome. Love this idea and the photo! Well done. You look great and I don’t know what it is about a unibrow. It just screams talented. Nice to see you here, John! I cracked up at you booking your trip to France ASAP. 🙂 That Susie never fails to educate us. I might just have keep my unibrow beyond November in case it brings out some sort of talent in me! 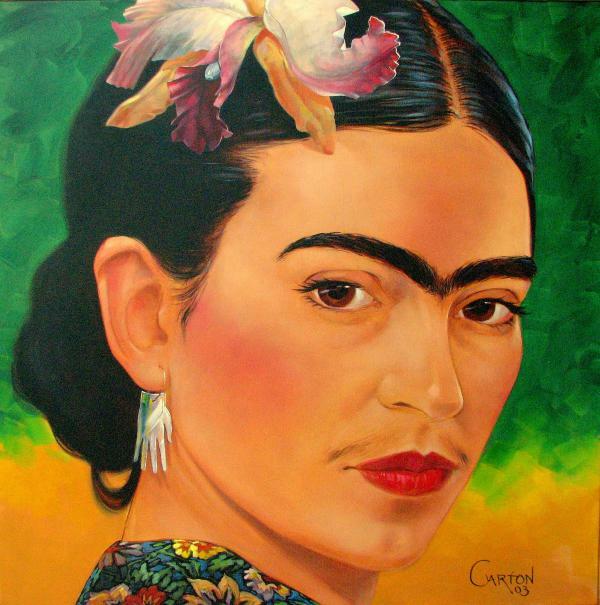 Bahaha love the Frida picture!! I am lazy, and therefor do not shave my legs OR pits all the time haha..oops! 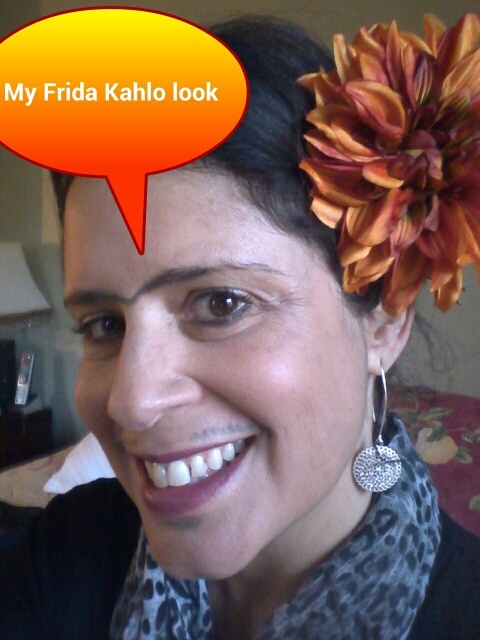 You make a great Frida. Hmmm. Not sure if I should take that as a compliment or an insult. Hee,hee. You crack me up! What a great picture. Hey, you are not the only one with a unibrow (shhhh). Thanks for your support and we are all looking forward to a picture of those salsa dancing legs next week. This is fantastic! I love your photo and the painting! Thanks so much for your kind words and for getting the word out! I’m in for the no leg shaving…no problem! I love the picture, Maria…that eyebrow is out of control! Go for it, Jill! Apologies btw. Although I am a decent person, the auto correct did not spot decent for descent. Just fixed it. 🙂 It would be so much easier to let the brows unite wouldn’t it?